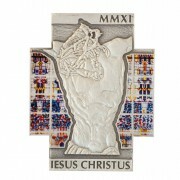 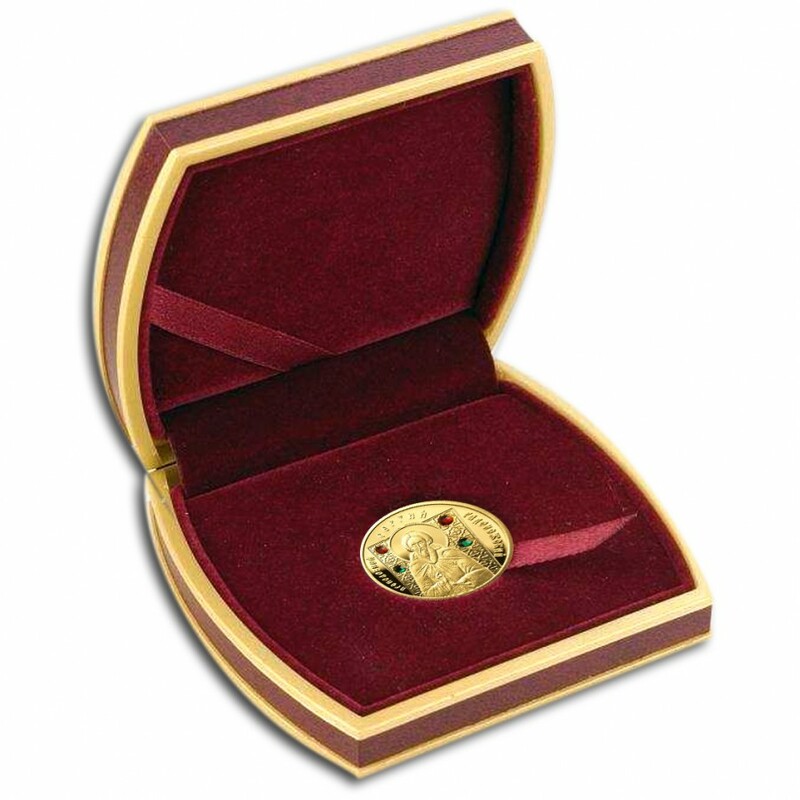 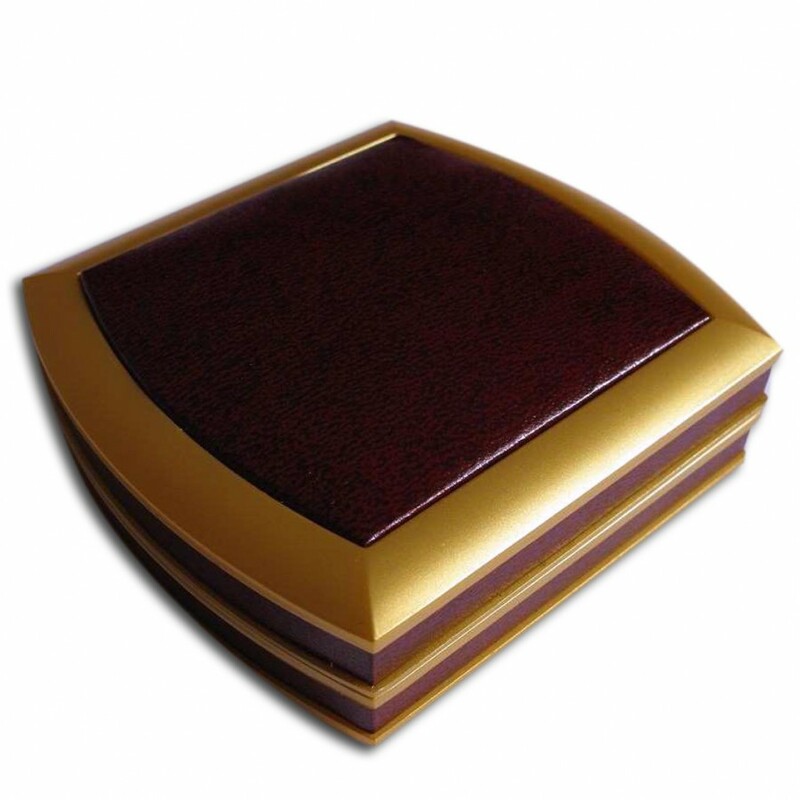 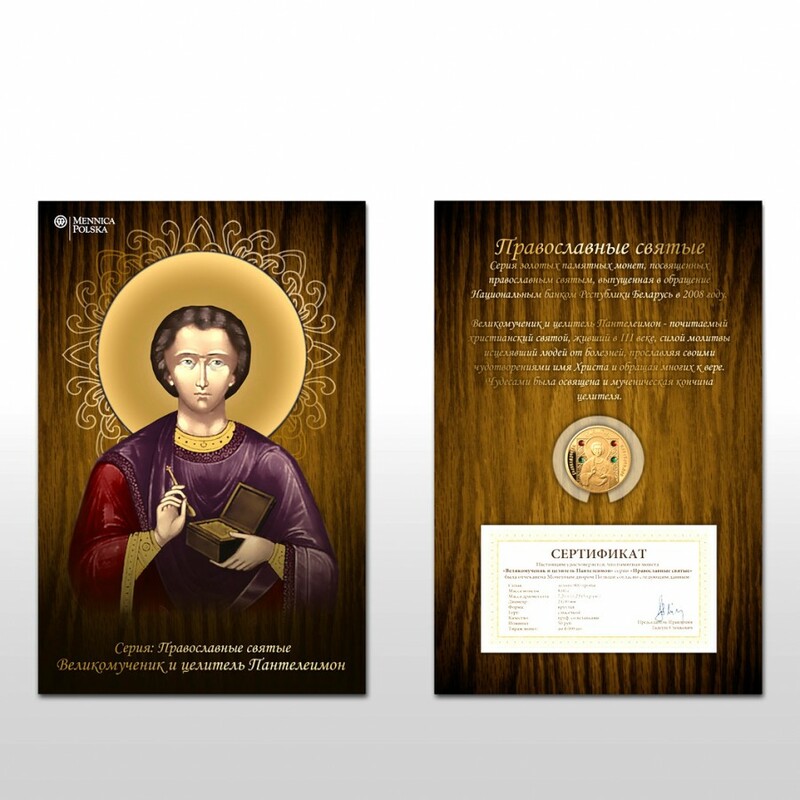 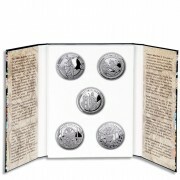 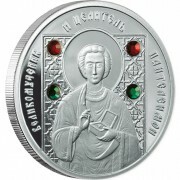 This is the series devoted to the Orthodox saints issued in silver and gold by the National Bank of the Republic of Belarus in 2008. 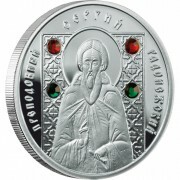 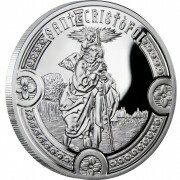 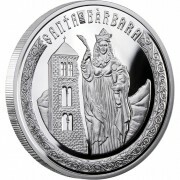 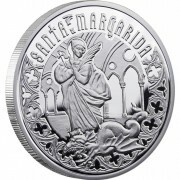 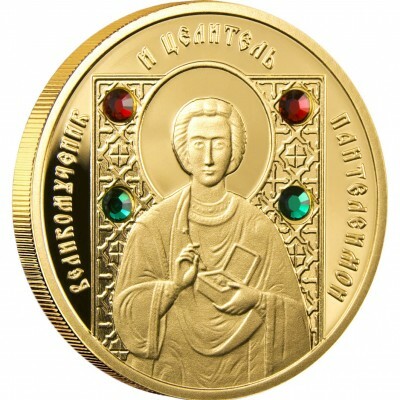 In the central part of the coin, in the background of an ornament, there is an image of an Orthodox church. 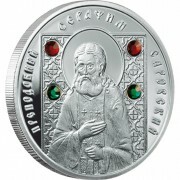 On the edge of the coin there is a semicircular inscription “РЭСПУБЛІКА БЕЛАРУСЬ” (the Republic of Belarus), separated by the emblem of Belarus. 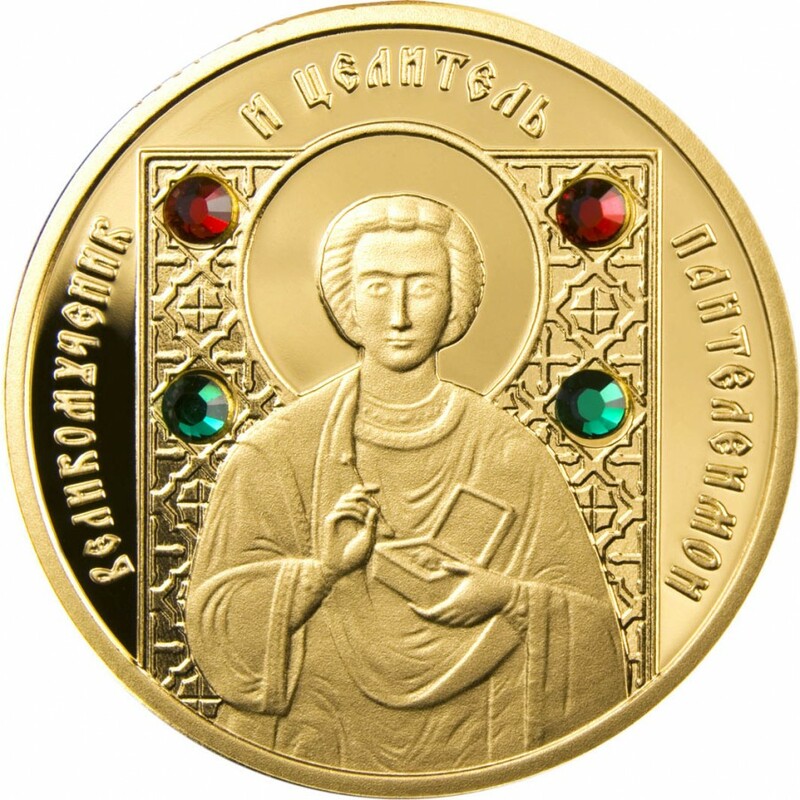 Below the name of the series in Belarusian “ПРАВОСЛАВНЫЕ СВЯТЫЕ”. 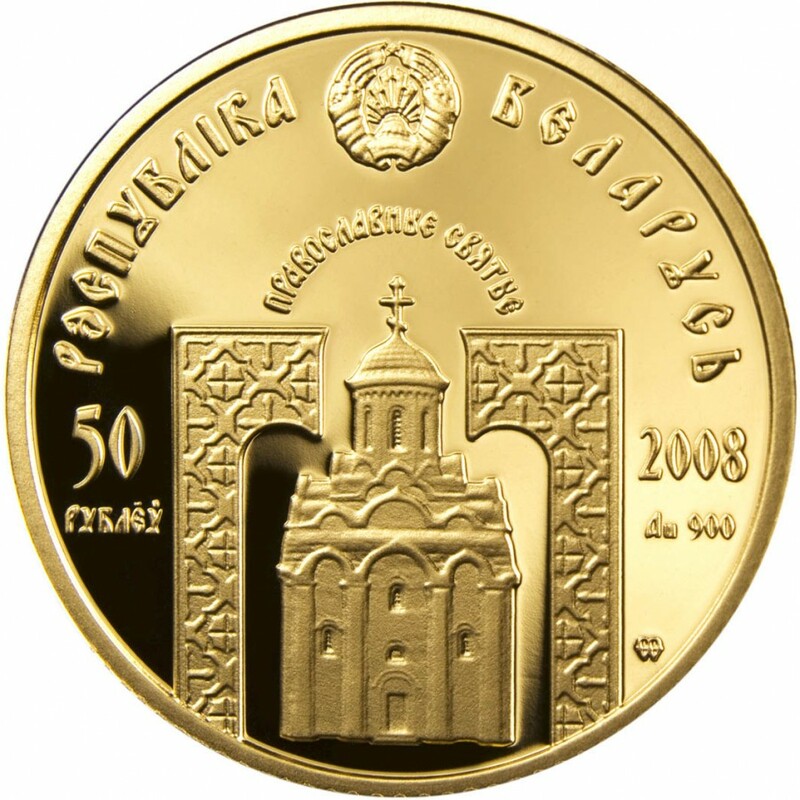 On the left, there is the face value of the coin “50 РУБЛЁЎ” (50 roubles), on the right – the year of issue, silver alloy (Au 900) and a mint mark – MW. 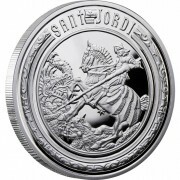 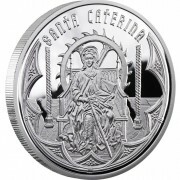 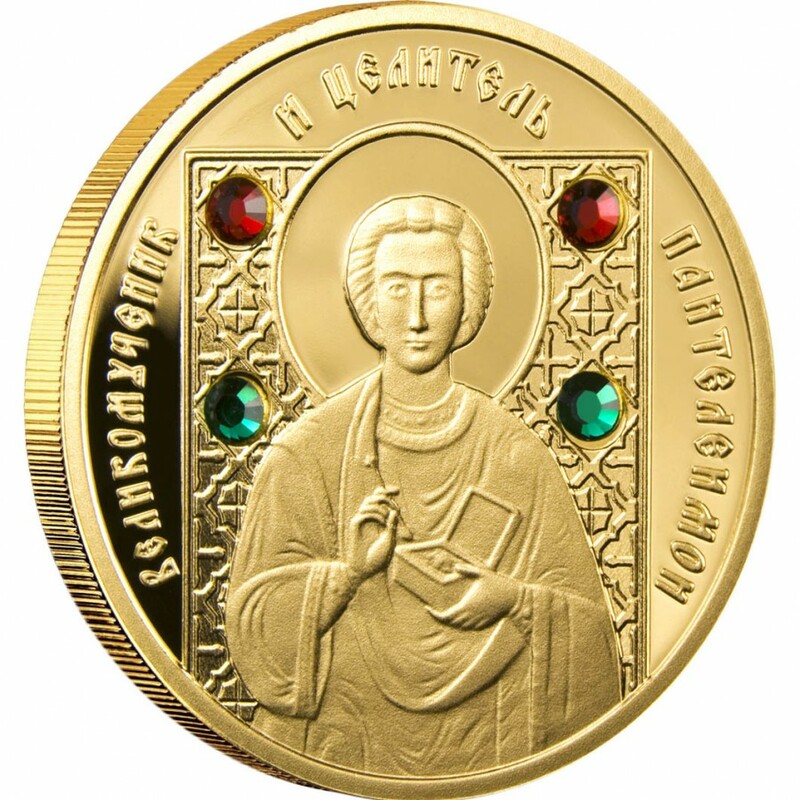 In the central part of the coin there is an image of Saint Pantaleon surrounded by 4 red and green zircon crystals. 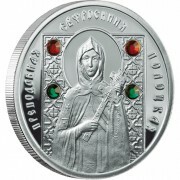 Above the relief, on a circle, there is the name of the saint in Belarusian – “Великомученик и целитель Пантелеимон”.